There are many personal finance basics, tips and rules of thumb that can greatly help you improve your finances. Unfortunately, not many of them are known by the majority of Americans. I know that I did not receive teaching in the foundations of personal finance when growing up and that partially led to my racking up over $50,000 in debt while in college. With it being financial literacy month, we want to highlight the best personal finance tips to help you manage your money better today. There are many “rules” you can follow, but these six basic principles are the foundation of improving your financial health – both now and for the long-term. Life is full of the unexpected. I can’t stand surprises, as I prefer to be prepared. Regardless of what I like, surprises still happen all the time, and they’re worse when they come with bad financial consequences. We had exactly this type of surprise in early January. We were paying bills one night and heard what sounded like a window breaking. It turned out that one of our pipes burst in our basement. Fast-forward 24 hours later and we were staring at a bill of over $2,000 to fix the damage. Thankfully, I lost little sleep over it. Why? Our emergency fund. We had the money in savings to handle such an event and simply had to move it over to our checking account to pay the bill. Unfortunately, many people would be up all night worrying about how to pay for the repair costs, as recent studies show a majority of Americans can’t handle a $400 emergency. Many experts say you must have 3-6 months of living expenses saved up for emergencies. If you don’t have anything saved for emergencies that number seems impossible and you might be tempted to not even start. Don’t give into that temptation. Rather, set a goal to save something. It doesn’t matter what the amount is; it can be as small as $250 or $500. Start saving money each week or month, regardless of the amount, and hit the goal. Then double it. You’ll be surprised at how soon you can grow a decent amount of savings that will help you be prepared for most emergencies. The best way to do this is through automating your savings and finding a bank that will let you start with a low minimum balance. If you can start with at least $100, CIT Bank pays 1.55 percent on your savings with no monthly fees. Pick a bank and start saving; your future self will thank you. There are many important financial basics to know, but the most critical financial rule of thumb to know by heart is to avoid credit card debt at all cost. Americans love debt. The average household has over $16,000 in credit card debt, according to the Federal Reserve. That is a staggering number considering that most credit cards charge interest rates between 15-20 percent, at the minimum. If that describes your situation, you should know that credit card debt does nothing but enslave you to someone else. I got myself into credit card debt by financing a life I wanted and felt like I deserved, but couldn’t afford. That can be an expensive habit and can cause years of pain, especially if you have no plans to pay it off. There is a way out, however. There are many ways to pay off debt – here are 25 ways to start paying off debt that you can use today to kill your debt for good. The best way to kill debt for good is to lower your interest rates. If you have high-interest consumer debt, you can consolidate the debt with Avant or LendingClub and slash those rates in half, or more, to help you pay off the debt quicker. Just as important as avoiding credit card debt is knowing how to use credit cards responsibly. Credit cards can be a great tool in managing your budget. However, you must use them wisely. Only use credit cards to buy things you know you have the money for and can pay off in full when the bill comes. The last thing you want to do is carry a balance each month. Wise use of credit cards can be a great way to improve your credit, allowing you to save money in a number of ways throughout your life. If you can’t pay off your card each month, then it’s not worth the long-term expense. We’re big fans of saving for retirement. Many ask “how much should you be saving for retirement right now,” and many experts will recommend saving 10 percent of your income. That’s a great number to shoot for, but you should save even more than that. Take a look at this projection from CNN Money that shows just how much the five percent difference can play over the life of your career. Of course, your number may be different based on your salary, but it’s important enough to warrant saving more money for retirement. That 15 percent target seems like a big number, and it is. Like the emergency fund tip above, you don’t have to start with 15 percent right away. The point is to start, even if it’s as low as five percent. It’s also important to remember to count everything towards that 15 percent target. If your employer matches your 401(k) contribution; that amount counts towards your 15 percent. If you don’t have access to a 401(k), or want to save more money, Ally Invest is a great option as they charge an industry low $4.95 per trade. What if you don’t have a lot of money to invest? You can use a micro-investing app, like Stash Invest, that lets you invest your spare change to start growing your wealth. You can also include real estate investing in that number, such as crowdfunded investments through Fundrise. You can start with as little as $500 and begin growing your retirement portfolio today. One of the most important personal finance basics to follow is living below your means. This is surprisingly simple, yet many people miss it. It’s elementary – just spend less than you earn. So, what keeps us from following this basic rule? Our desire to have some or all of the shiny things advertised to us constantly! Spending more than you make is a difficult cycle to break. It keeps you from getting ahead and will likely only lead you into debt. Breaking the paycheck-to-paycheck cycle is difficult, but it can be done. It starts with taking an honest look at how you spend your money. There likely are ways to cut back and free up money. If you have a lot of subscriptions or would like to lower your bills, Trim is a free service that can help you cut those and find savings opportunities. You can take it a step further and track your spending. This sounds difficult, but is actually quite simple with a service like Tiller. Tiller connects to your bank account and automatically pulls all of your transactions and puts them in a Google Sheet. This lets you go through your spending and find potential savings opportunities. Tiller offers a free trial for the first 30 days, and is then $5 per month if you decide to keep the service. Again, living below your means is simple math. If you make $5,000 per month, you need to spend less than that. If you find that you’re spending more than you make, go through all your expenses to cut the fat and find savings opportunities. Insurance is commonly overlooked when it comes to managing our personal finances. I get it. I hate the expense of insurance, but the last thing I want is to find myself in need and not have coverage to help me survive. Life insurance is just the tip of the iceberg when it comes to insurance coverage. Many ask “when do you need to buy life insurance,” and, in short, it’s cheaper the earlier you buy coverage. You can compare term life rates at PolicyGenius to see just how low rates can be for coverage. Health insurance: Admittedly a tough pill to swallow for many, but obviously important to protect your family. Auto insurance: Okay, having coverage is the law, so I don’t think I need to explain the reason why you need to have coverage. Renters insurance: Do you rent? Renters insurance is a great way to protect your possessions in the event of a disaster; however many don’t have coverage – less than 40 percent of renters have insurance according to recent studies. Rates are typically less than $20 per month, which is a small price to pay for protection. There are many other types of insurance, depending on your needs. Don’t overlook getting coverage through your employer. Many employers offer group coverage options that can be incredibly cheap. Talking about money is taboo. Additionally, many also believe you need to be an expert to be “good” with money. This leads to many people not knowing a few simple personal finances basics that can help them manage their money better. It doesn’t have to be that way. When followed wisely, these principles can help you do many things – from killing debt to growing your retirement portfolio, all of which helps you become wealthier. Don’t let a lack of knowledge overwhelm you to inaction. If you don’t know where to start, pick one and attack it with all you have. Once you build confidence in that area, move on to another one. Take advantage of resources available to you to help guide your journey – from personal finance websites to tools and resources through your employer. By following these top personal finance basics, you’ll be surprised at how quickly you’ll grow your confidence and improve your finances. What are some other top personal finance tips you think are important to follow? How do you avoid debt? What’s one area you want to grow in financially this year? 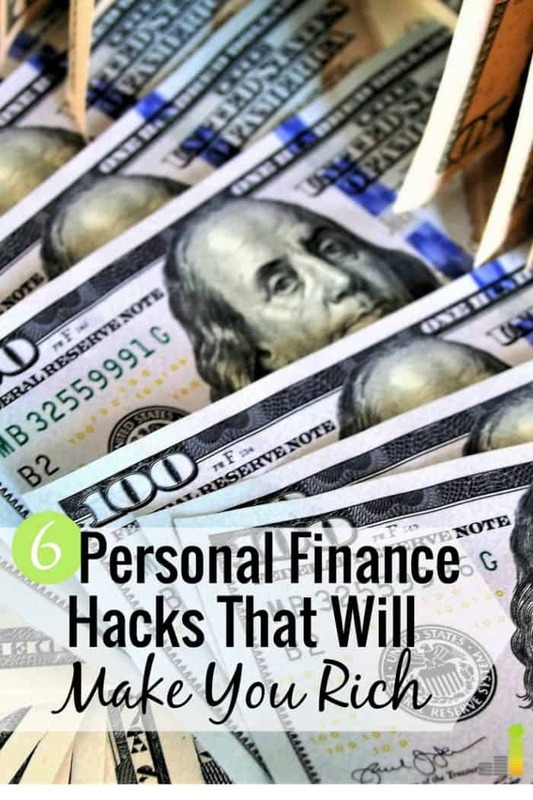 The post 6 Personal Finance Basics You Need to Know By Heart appeared first on Frugal Rules.